Living… as a vagrant on the streets of New York City when Harold Finch finds and recruits him. Finch brings him into a different world, one where a mysterious Machine provides social security numbers of people who are either going to perpetrate or be victims of a violent crime. Profession… employed (unofficially) by Finch as a kind of vigilante. 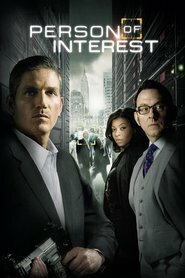 Reese is Finch’s man on the ground to track down and stop the violent crimes that the Machine tells Finch about. Previously employed by the military and then the CIA, Reese was officially killed in action, but actually survived. As a man who’s not even technically alive, Reese is the perfect fit for Finch’s secretive operation. Interests… drinking and martial arts movies, at least prior to Finch picking him up off the street. After he begins working with Finch, he reverts back to his earlier interests – working out and guns. Relationship Status… single, with no friends and no family. Before his recruitment into the CIA, he was in a relationship with Jessica Arndt, but he broke things off when he became a special-ops agent. Challenge…. working with Finch to track down the perpetrators and victims that the Machine spits out. Finch originally built the Machine for the government to detect terrorism, but it didn’t end up functioning precisely as designed. In fact, it detected all premeditated violent crime, against regular civilians as well as nationally significant targets. The government wasn’t interested in ordinary people, however, so Finch took it upon himself to save the “irrelevant” citizens. Because Finch is physically disabled, he needs the military-trained Reese to actually carry out the missions. Personality… intense, focused, and level-headed in dangerous situations. Reese has a dry, dark sense of humor toward the criminals he has to deal with. When he chooses a cause, he is incredibly loyal to it. Reese’s demeanor is so calm as to be inscrutable. Although Finch knows more about him than he knows about Finch, he has almost as many aliases as Finch. For instance, John Reese is not his real name. John Reese's popularity ranking on CharacTour is #568 out of 5,000+ characters. See our top-ranked characters and read their profiles.